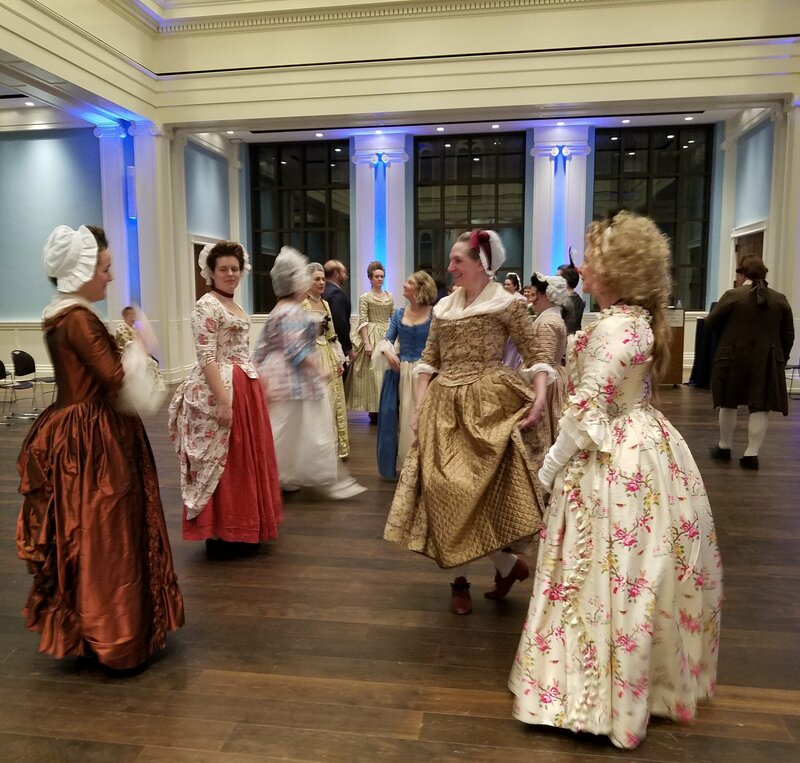 There haven’t been as many chances to dance as I’d like of late, so when I got the Museum of the American Revolution’s invitation to come dancing at their January History After Hours event, I said yes. 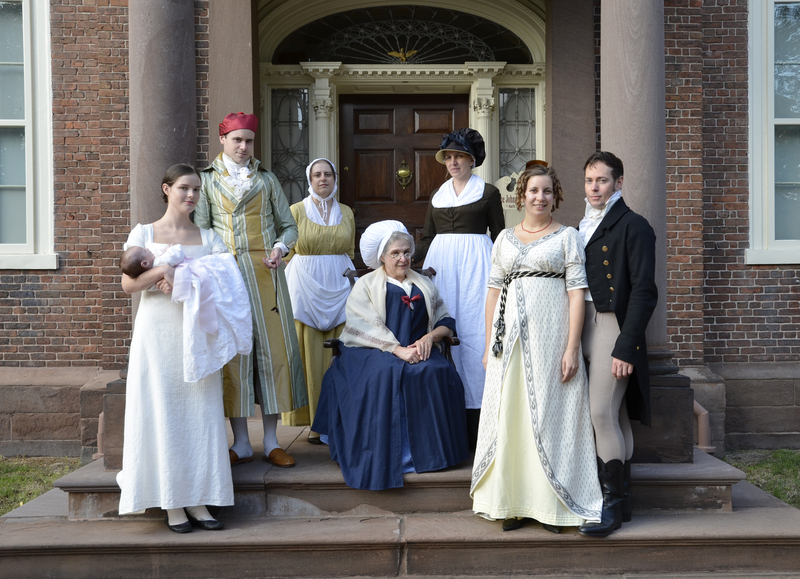 Luckily, I had to be in Philadelphia for the next day anyway, so out came the 1780 appropriate dress and the fancier shoes, along with my resolve not to be a wallflower, and off I went. I very nearly made it on time, but I dressed as fast as I could, and managed to join the crowd with my dress pinned and my hair tamed. As at past balls, I was rescued by a kind soul (and excellent dancer) who took me through the steps and saved me from my occasional pattern dyslexia. (Reversing can be tricky– they didn’t let me drive the forklift much in school because my brain sometimes struggles to process a mirror image.) But Miss V was a gracious partner, and reader, I confess: I greatly enjoyed myself. 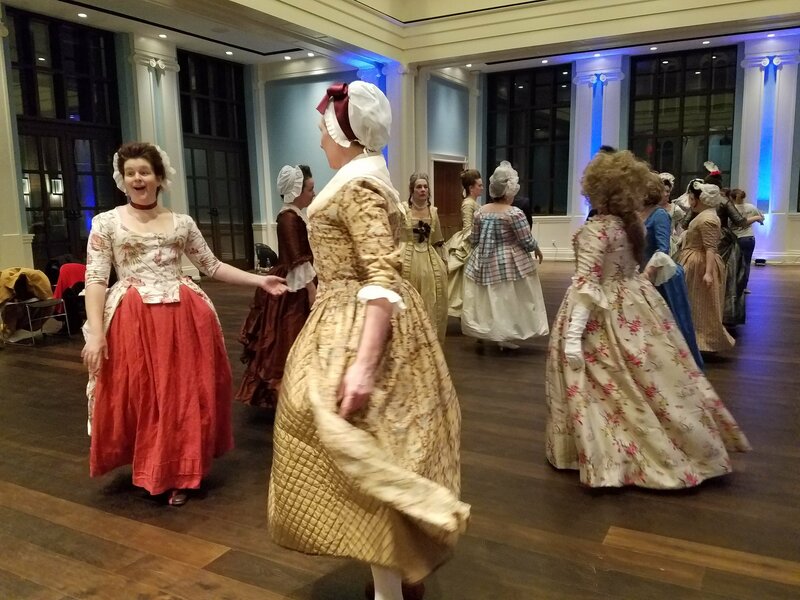 One aspect of historical dancing that has always appealed to me is the relationship between classical ballet and traditional English country dances. 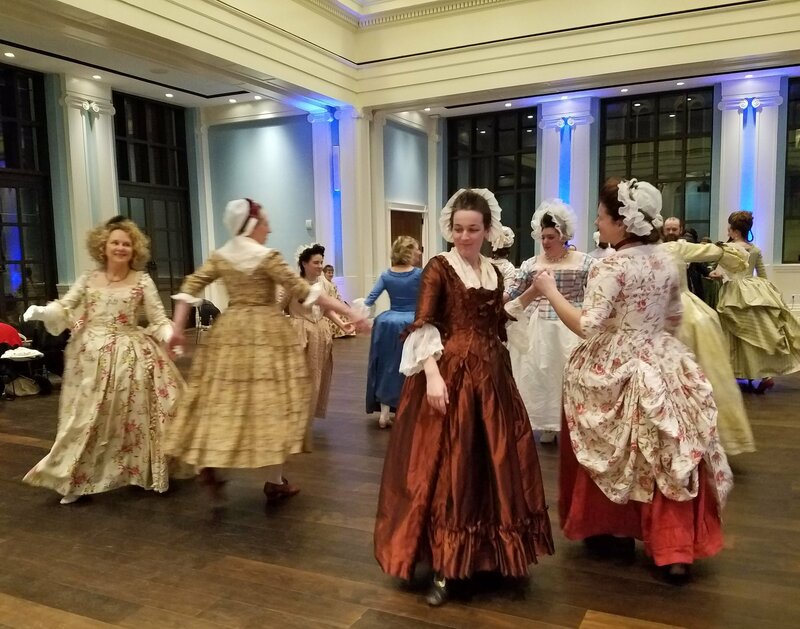 While you won’t find tutus on Jane Austen’s dance floor, you will find balancé and glissade, and the use of positions. This connection between two things I love, and the way movement can connect us to the past, makes me enjoy these dances even more. Using steps I learned and practiced endlessly decades ago in a hobby I pursue today is a very personal reminder of the persistence of the past. An evening of dancing, with the best dance caller and instructor I’ve yet had the pleasure to meet, was a welcome winter treat. Many thanks to Miss G.J. for the use of the photos, and deep honours to Miss V.D. as a partner, and Mr. N.V d.M., dancing master. 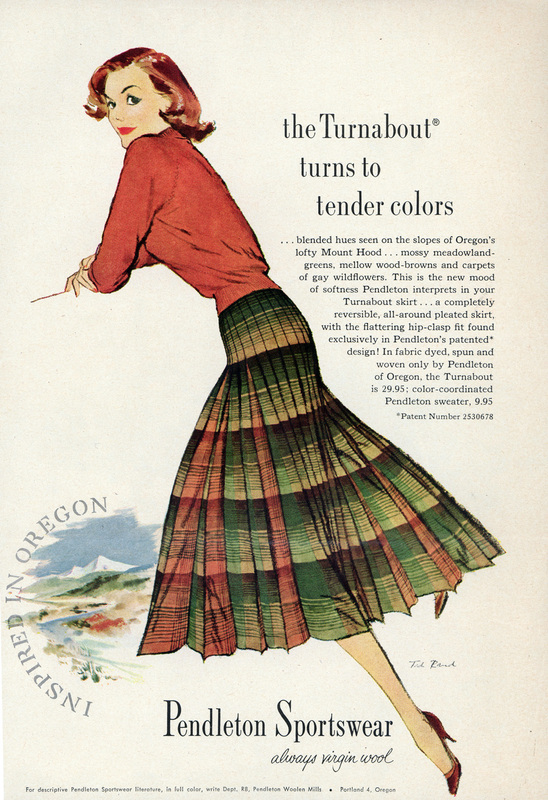 Two first dates, at least, and almost always with boots: the Pendleton plaid reversible pleated “Turnabout” skirt. I bought it in a long-gone shop on Thayer Street in Providence in 1989 or 1990 with money I earned working in the inter-library loan department at the Brown Science Library, the ugliest building on College Hill, until the apartments went in on Brook Street across from the Wheeler School. It would not have been cheap; that is, it probably cost enough to make me think twice, but it was a Pendleton, it was warm, heavy wool, and it fit. The knife pleats opened slightly when I walked, revealing a contrasting color. How could I resist? Practical and pretty, in a fabric more durable than the soles of my shoes, this skirt was made for walking. The heavy wool was useful in the chilly frame triple-decker flats where I lived and kept the heat low for money’s sake. This would prove useful again, when I moved back west to Saint Louis, and had even less money as a graduate student than an entry-level library employee. Saint Louis had been home before, and the source of much of my vintage wardrobe, though I lost many pieces in a very bad breakup before I had the Green Eyed Lady dress. By the time I started my second round of graduate school, my wardrobe was a melange of slightly professional pieces, vintage clothing, well-worn jeans, and sweaters stolen from my father’s closet. Sometimes I think I must have looked like a walking laundry pile from a disgruntled teenager’s floor, but there I was, 24, and ready to take on anything in my eclectic armor. I wasn’t wearing the Turnabout the night I met the man who really broke my heart, but I wore it on our first date the following Saturday when we went for a walk in Tower Grove Park. He was a photographer, living in a second-floor flat on a street named for a river on the near South Side of Saint Louis. I’d known him in college, or known who he was, as he had known who I was. Photography and sculpture were in the same studio building, and even among a group known for being obnoxious, I stood out. When I met him again late on a November Wednesday, in a partially-converted brewery, I was bored with an art opening, trying to decide whether to get a drink or go home. He stopped in the doorway to survey the gallery, a hazy golden light behind him like a Renaissance painting, so unlike the bruise-blue sky above the bony trees that waved outside my windows. A neon blue line, like the colored lines in a Thiebaud painting, wavered around him. He talked me into a date that Saturday afternoon, picking me up at the studio so we could take his sandy-haired dog, Cooper, to the park. Cooper, distinguished as the only dog to survive eating both a Hasselblad and a Harris tweed jacket sleeve, kicked up brown leaves as he ran ahead of us. The late autumn light in Saint Louis made anything red more red, highlighting what leaves remained on trees, the painted pavilions, and the folds of my skirt. Over the months we dated and eventually lived together, Cooper went on many walks with us, and with me and my dog. I took in strays; my cat had kittens, adding half a dozen more to the three cats we already had. It was lively, and sad, and I proved too much for the photographer, who asked me leave just a few days after giving me a red Trek mountain bike for my birthday. I sold the bike, kept the cats and kittens and the skirt, and moved into my own pre-war flat on a street named for the river I now live near. We kept being together and not together, so hard to quit seeing each other, like a bad cover of a Gun Club song. But we moved on, encountering each other in the grocery stores of the South Side for years, until I moved back to Providence. Two years later, I read his obituary in the alumni newsletter. I kept the skirt–it still fits, though more snugly than before I had a child. Twenty five years after my date with the photographer, I wore the skirt again on a rainy afternoon date with Drunk Tailor, walking the shore of Narragansett Bay in Colt State Park. Note: The images of us are poor because they are taken from 35mm color negatives made in 1991, some of which were double exposed when the camera malfunctioned, and not printed until 2008. In the intervening decades, they acquired the dust which appears in the prints and subsequent scans. I didn’t know then that it was called changeable silk; what I knew was that the skirt rustled when I walked, and spread out like a plate when I twirled. Irresistible. Probably homemade, I would have found it in a junk shop on South Broadway in St. Louis, or at the Veterans Village thrift store on Natural Bridge Road, a place white girls like me had to be careful (respectful) about going to. Square neck, tight waist, full skirt, side zip: at one point, I was skinny enough to pull it over my head without opening the zipper, as long as I wiggled just right. The only time I clearly remember wearing the Green Taffeta Party Dress was to the KWUR Student Radio end-of-year party at the Women’s Building on the Washington University Campus. April or May of 1987, probably, though possibly 1986, before I went to Skowhegan on a summer scholarship. My date was my on-and-off boyfriend, another sculpture major, working on his master’s if it was 1986, and newly graduated if it was 1987. He had a shambling walk, shuffling, a little hunched over, as if 6 feet were too tall for the spaces he occupied, though the city was large enough. Sneakers, jeans, an Army fatigue jacket, a smile waiting for reactions, waiting to deploy. Patrick was the son of a firefighter and a nurse, and I stole him from his college sweetheart. Rosemary Clooney in White Christmas. Velvet, but very similar. The green of my dress was like the green of his car, dark and forest like. We made installations together, layering found objects and drawings in the small gallery in the studio building where we worked. We drifted into a relationship: his girlfriend visited every weekend, driving up from the smaller college town where they’d met. Red haired, pale-skinned, in burgundy beret, Roslyn sat on a stool and watched Patrick work. Across the wide wood shop, I watched her watching him, and smirked. Reader, I was unkind. My friend Jane and I played Raspberry Beret on repeat every time Rosyln visited, hard to do in the pre-CD era, but we managed. My style icons at the time were Joe Strummer, the Beastie Boys, and Lydia Lunch and when we weren’t taunting Roslyn with Purple Beret, I was inflicting 8 Eyed Spy on my studio mates. Reader, I was a snob. Paddock boots and ankle-zip jeans; white high tops and baggy Marithe et Francois Girbaud trousers; and the occasional 1950s evening gowns comprised my idea of campus-appropriate dress. My wardrobe came from thrift stores, gifts from my mother and grandmother (the Girbaud trousers), and practical work wear I bought with money I earned in the summers (high tops and paddock boots). In winter, I had a ca. 1950 Army trench coat with a button-in lining, which I insisted upon wearing to a Fortnightly dance in Chicago my senior year of high school. It is amazing my mother lived through all this sartorial humiliation, and amazing, too, that I was harassed as little as I was on the streets of Chicago and Saint Louis. Wash U Women’s Building. KWUR was in the basement. The KWUR Prom was in May, though I think of that evening as summer, so I would have needed nothing over the dress. I wore it with a gartered corset, black fishnet stockings, and Johnson motorcycle boots styled like paratroopers boots, leather soles slick from walking, and good for dancing. By May of the year I met Patrick, he’d broken up with Roslyn. We started making art together on a dare, and in our rambles collecting window screens, broken chairs, old medicine cabinets and other detritus, we grew closer, stopped being adversarial and became friends, and then lovers, until we were not. 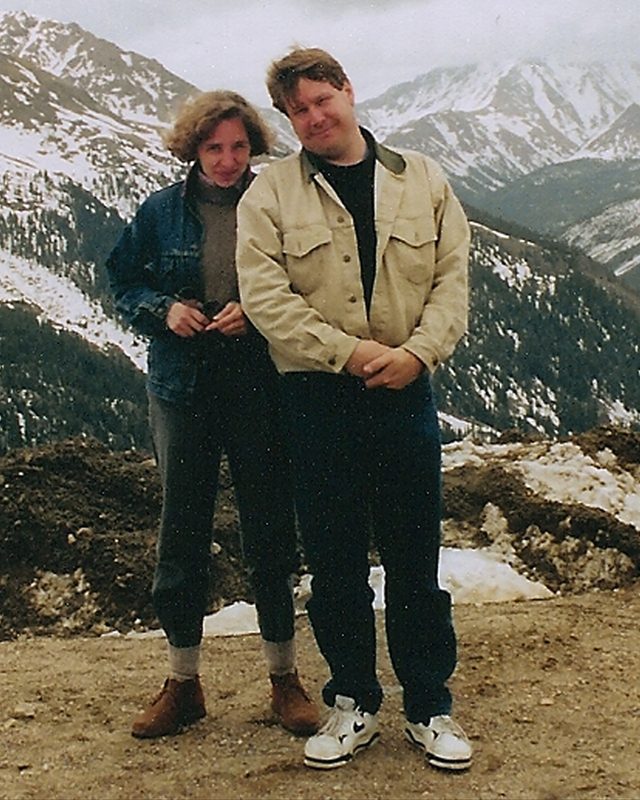 I wonder about Roslyn sometimes, and what became of her; I know where Patrick is, though we have not spoken since 1991. I broke his heart, for a time, after he broke mine, and now he lives where I began. 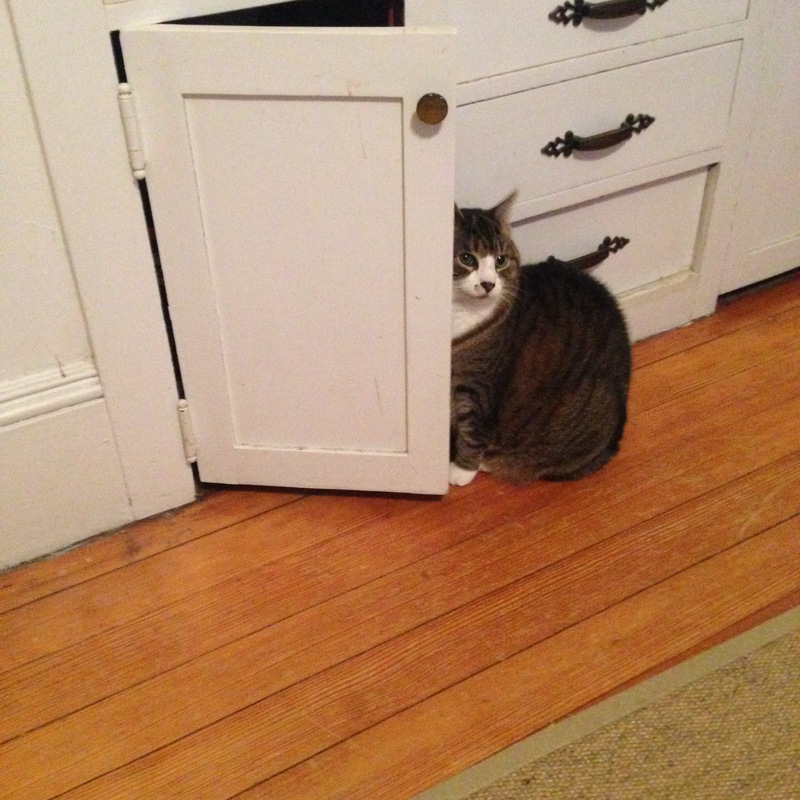 I have a six word story for you: My cat is dying of cancer. Lady Cat, Lady Bird, Flirty Birdie, Lady Fat, Lucky Lady, Lucky Eatie: She has had many names since we scooped her up from the back yard of our Smith Street 3-decker in 2005 and brought her on up to the East Side (it is possible to literally re-enact The Jeffersons’ theme song in Providence). She was born under a sheet of plywood against a garage behind our house, one of three fluffy kittens born to a short-haired calico mother. She and her litter mates were like a dessert tray: one fluffy and biscuit coloured, warm, light brown; one, vanilla-cream coloured, soft ecru; and Lady, rocky road ice cream, pastry, caramel, cream, and chocolate, with a stripe down her nose like a monkey. She wasn’t easy to catch, but I managed, on the very last day we would ever be in that apartment, caught her and wrangled her into a cat crate where she spun around like the Tasmanian Devil in the Bugs Bunny cartoons. Eventually she settled down to watching me and the movers hustle the last pieces out of basement on onto a truck, and made the trip over the river and up the hill to a new, larger house. As my son struggled with spelling homework, Lucky Lady and her arch-nemesis Whiskers (the cat who lived in the house behind us) became the stuff of legend– Whiskers more than Lady, but every week, as Whiskers stole doughnuts from dinosaurs, was stopped by the police, or generally misbehaved, Lucky Lady would often save the day, once by socking Whiskers with her powerful paw. Whiskers and Lucky saved us from second grade. Dignity. Like Gene Kelly– and just as acrobatic. Found feral, she was never fully tame, though she made decisions about not venturing outside in the snow again (after a night out in the cold) and she learned not to jump against the screens trying to get at Whiskers (she fell out of the first floor window once). 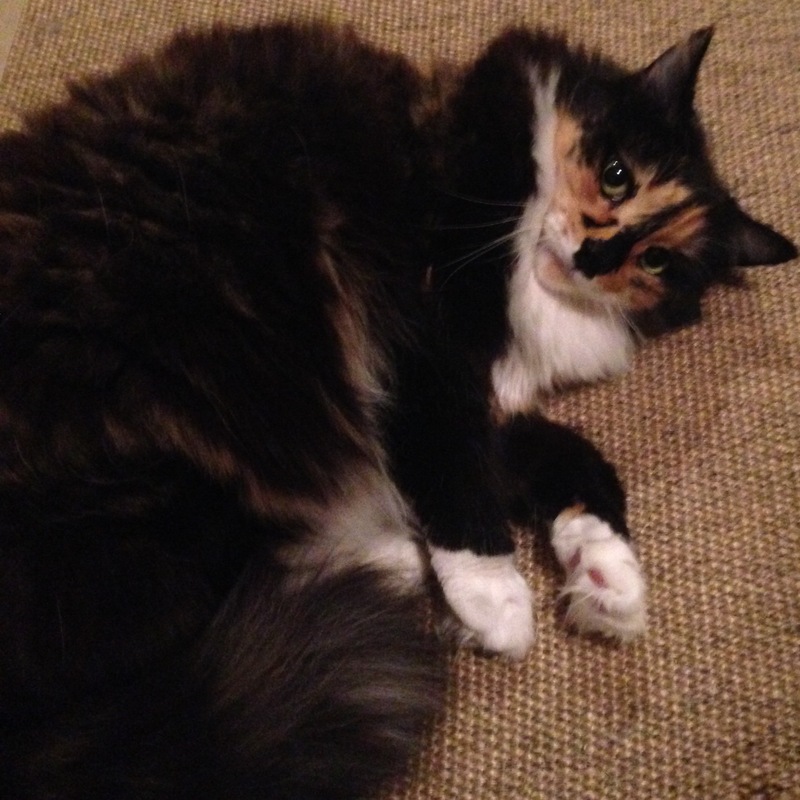 We brushed her, and she adapted after the first few times, when she hissed and bit at the brush. 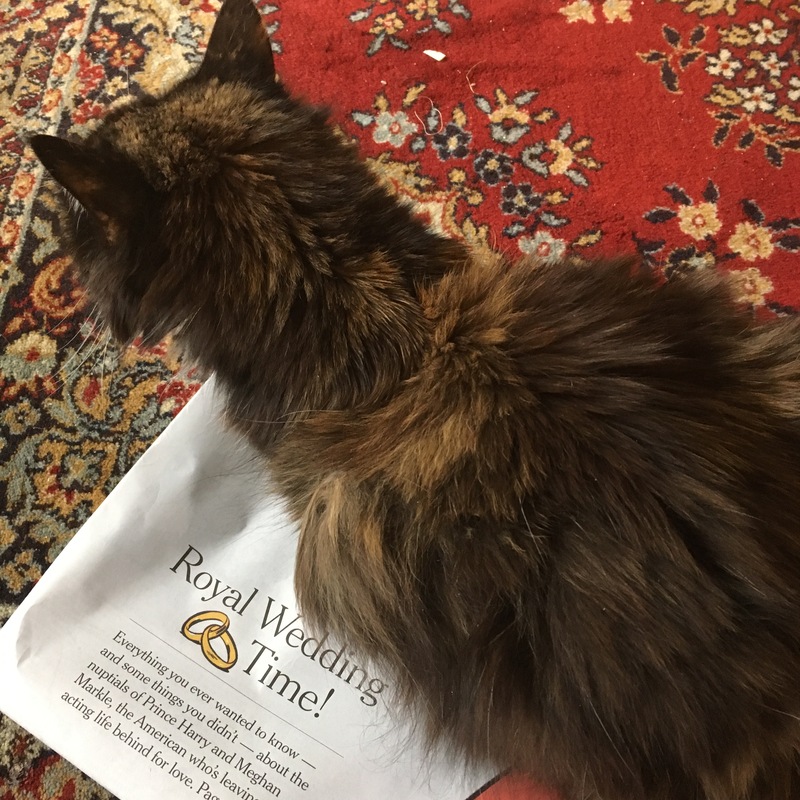 She loved catnip, and eating feathers (I learned to keep my millinery supplies in a cupboard), and chewing wool (I learned to keep my wool in a cupboard). She learned, and we learned, and she is ours and we are hers. 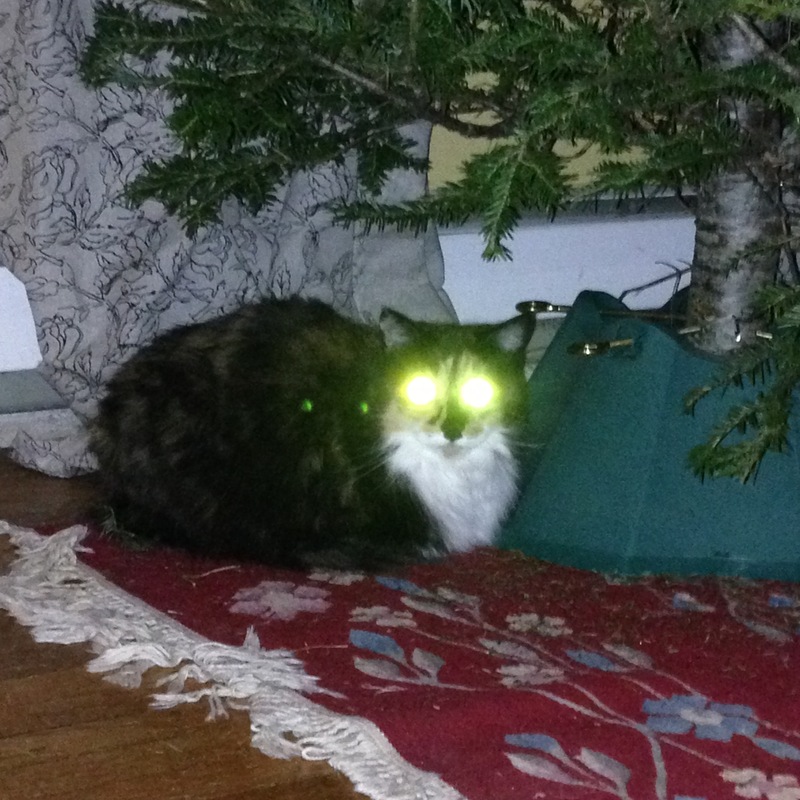 One year, she got lasers for Christmas. Now that she is terminally ill, we do what we can for her. She eats Trader Joe’s tuna for cats because she can keep it down; she drinks CatSure (she prefers premixed to powder mixed); we give her catnip. Sunday night she did not know what to do with the catnip, and ultimately fell asleep in the catnip without enjoying it. 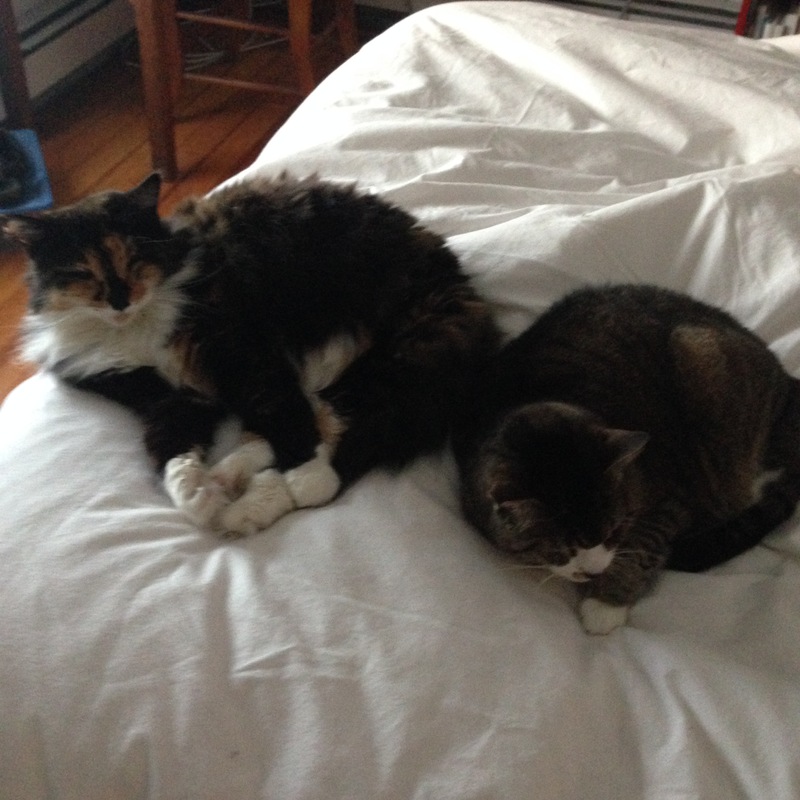 Her adopted sister Socks (the one-eyed, wobbly, film noir-loving, Nazi-hating tabby cat known as the Howling Assistant) died last summer. Lucky Lady will die soon, too, though we will keep her as comfortable as we can as long as we can. It’s hard to say how long it will be, and I feel wrenched and torn as I contemplate what Lady must endure and how much I will miss her, the last living connection to Providence I have with me in Alexandria. She’s more than a symbol, of course; she’s an independent being. But when Lady dies, a little part of me will go, too, and the past, and New England, will seem even farther away. 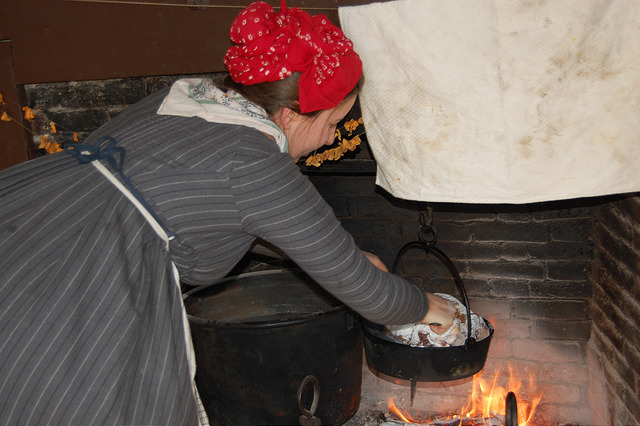 A friend of mine recently wrote about replicating the domestic life of the past (specifically the 18th century) and how much meaning that had for her. Being so deeply embedded in the rhythms of life there, it became my home in a very real sense that has never left me. I read that quickly, and what I read was that the place she had spent so much time was home to her because the place never left her– she carried its rhythms and seasons within her. Perhaps that isn’t quite what she meant, but that’s the risk of writing: the reader reads what they need to. It made me think of home, and of living deliberately, and of a very bad year I had a long time ago, before I even imagined doing living history, when I thought I would spend my life making new things, like cities and buildings. (This makes me think of an album I listened to at the time, More Songs About Buildings and Food, which seemed all the more important because I’d gone to RISD, too. 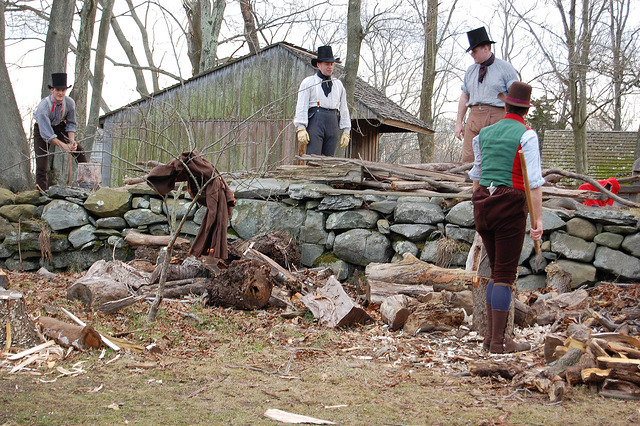 I suspect that among the reasons people really enjoy immersive, civilian (non-musket) events is because the work brings them into the rhythms of the natural world in a way that industrial life precludes or even prohibits. Consciously or not, interpreting the domestic life of the past forces us into mindfulness, into being as much as or more than doing. That’s the point of “chop wood, carry water:” to live deliberately. To cook without a clock, with only the color of the coals and the smell of the food to guide you; to notice the changing light because, as it fades, you must act to create light; to find the flaws and shifts in a floor as you scrub it, because there’s no machine between you, just your hands and a brush or a mop: all these tasks force you to be in the moment, noticing your environment, noticing yourself. You. A corporeal presence in a material world. How does that feel, moment to moment? Physically, emotionally: the challenge of living in the past is to live an unmediated life. 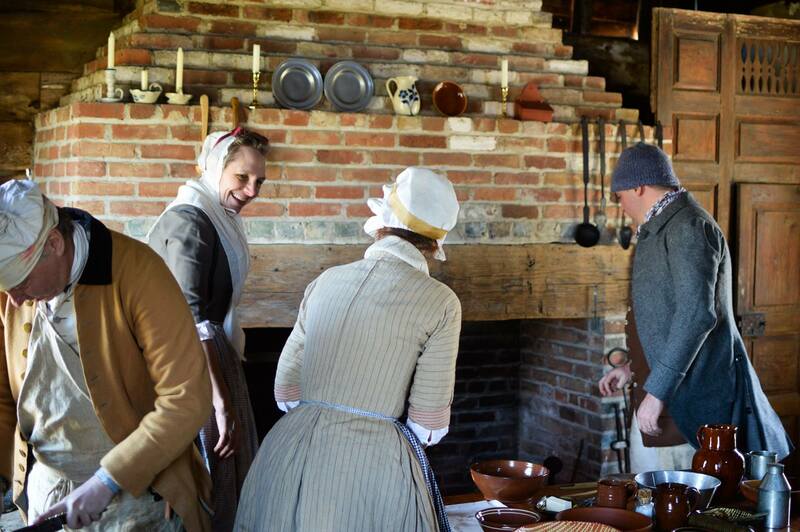 To go back to basics the way we do with civilian or domestic-site based living history brings us back to our base: we face our physical needs and the challenge of meeting them. We face emotional tests that help us imagine how people in the past endured– I often wonder how everyday people coped with “melancholia,” grief, and disappointment– and help us endure. It brings us home to ourselves, to our individual histories and our shared histories, and that’s what really matters. The connection to the everyday that we experience in a place in time puts us in a continuum with the people of the past, and gives us a place to be, a thing to do, a meaning. And that is what every one of us needs.